Kilikya Group's founder Ali Eren Balikel wrote a thesis on London's meze movement. Now he's practising what he preaches with a growing empire of Turkish restaurants. You might say that Ali Eren Balikel wrote the book on bringing Turkish food to London, or at the very least a couple of chapters. 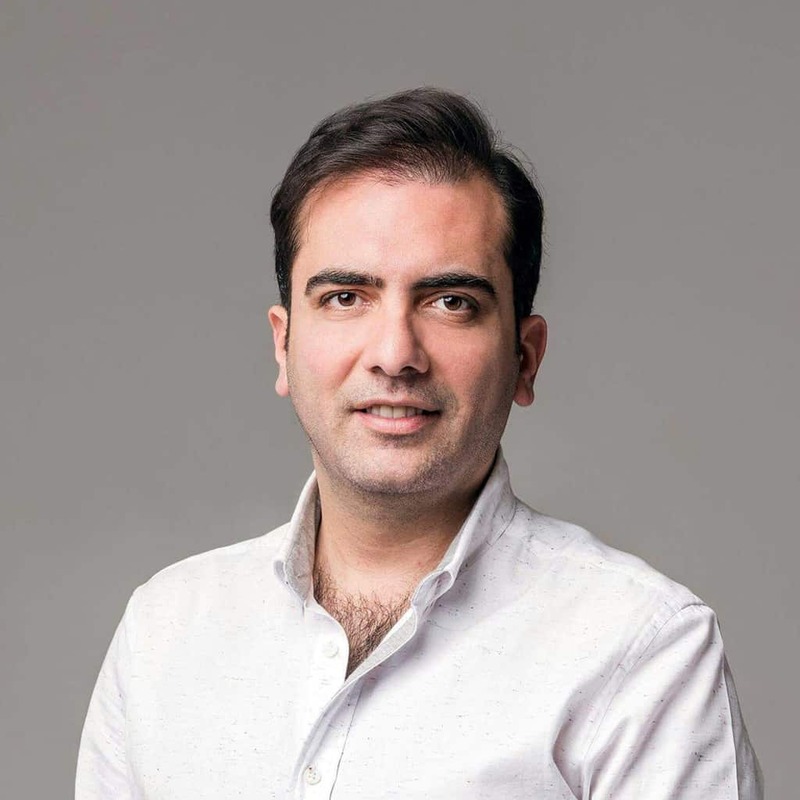 The Adana-native and business graduate penned his Masters thesis on the Capital’s meze movement, exploring ‘How to Establish a Strong and Innovative Mediterranean Cuisine Restaurant in London’. 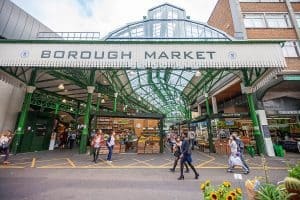 And it wasn’t long before he began practicing what he preached with Kilikya, a group of upmarket East London restaurants offering classic Turkish cuisine. “Growing up in Turkey you can see evidently how passionate people are about their food,” he says. Kilikya is named for the region in Turkey where Eren grew up. 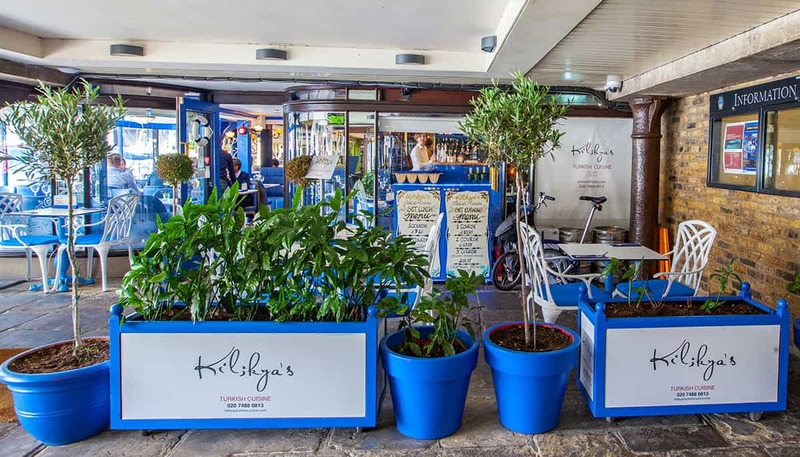 Kilikya, named for the region where Eren grew up, opened in St Katharine Docks in 2010 with a menu of authentic regional Turkish dishes served up in a contemporary setting. 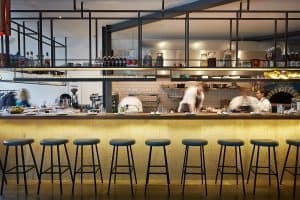 Seven years later and Kilikya has grown to include another two restaurants in Mile End and Canary Wharf. Eren has also expanded the group’s offering to include live music venue Jazzgir, which dishes up a menu of Mediterranean small plates alongside a stellar live music programme from top jazz acts. 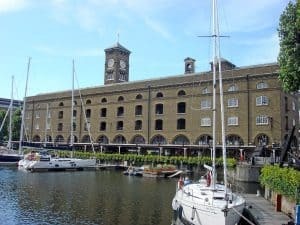 Kilikya Group’s first restaurant opened in St Katharine Docks in 2010. “This formula sounds simple, but it’s incredibly effective,” Eren says. Still, standing out in a city where there’s a kebab shop on every high street has taken some doing, which is why Eren is determined to demonstrate there is a lot more to Turkish food than meat on a spit. Kilikya’s menu reads like a geographical map of regional flavours, from the light fresh mezes of the Aegean and Mediterranean to the seafood from the north east and the grilled meats and spices of the south east and central Anatolian regions. Those in the mood for meat can head straight to the grill menu for flavour-packed lamb, köfte and chicken shish, while fans of traditional cold and hot mezes will be pleased to find all the classics – stuffed vine leaves, smoky baba ganoush, garlic sausage and fresh ezme with a punchy pepper dressing. House specials include the beef moussaka and roasted aubergines stuffed with spiced mince meat and rice, as well as Turkish breakfasts like scrambled eggs with peppers, best washed down with a traditional coffee brewed with an extra kick of cardamom spice. “Our menu has a real Ottoman influence so there’s something for everybody,” Eren says. As for the next chapter in the Kilikya story? With London’s appetite for Mediterranean cuisine showing no signs of slowing, and the Kilikya name now firmly established as the restaurant to sate it, it would be easy for Eren to sit back and celebrate the fruits of his successes. But he’s not finished yet.